Dr. Timothy Trussell of Millersville University presents “The Archaeology of a Pioneer Settler’s Cabin: The 1714 Hans Graff Site.” The early pioneers of Lancaster County were extremely influential in setting the pattern for later development of broad swaths of the United States, through generations of out-migration in the 1700’s. These flows of people carried the culture, lifeways, agricultural practices, and even architectural styles from Lancaster County to many other areas of the country. For the first time, the original site of one of these early pioneers has been found and archaeologically excavated, giving us insights into that era which have been previously impossible. 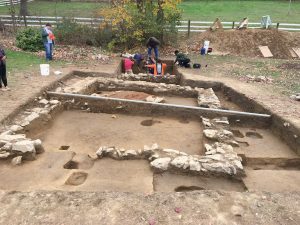 This lecture will discuss the importance of the early settlers in Lancaster County to the later cultural and historical development of the United States, and will discuss the findings of two years of excavation at the Hans Graff site, the first original settler’s cabin ever found or excavated in Lancaster County. This lecture will take place in the Rock Ford Barn. Reservations are not required, but seating is limited. Dr. Tim Trussell is an Archaeologist and Professor of Anthropology at Millersville University. He earned his BS in History (1991) and MA in Archaeology (1994) at Oregon State University, where he began his career excavating military and Civil War archaeological sites. He was the Field Supervisor of Archaeology at Thomas Jefferson’s Poplar Forest in Virginia (1997-2000). He earned his PhD in Nautical Archaeology at Texas A&M University (2004), where he wrote his dissertation on excavations at the sunken city of Port Royal, Jamaica, an English colonial trading city which sank in an earthquake in 1692. Dr. Trussell has taught at Millersville University and run the Archaeology program since 2004. 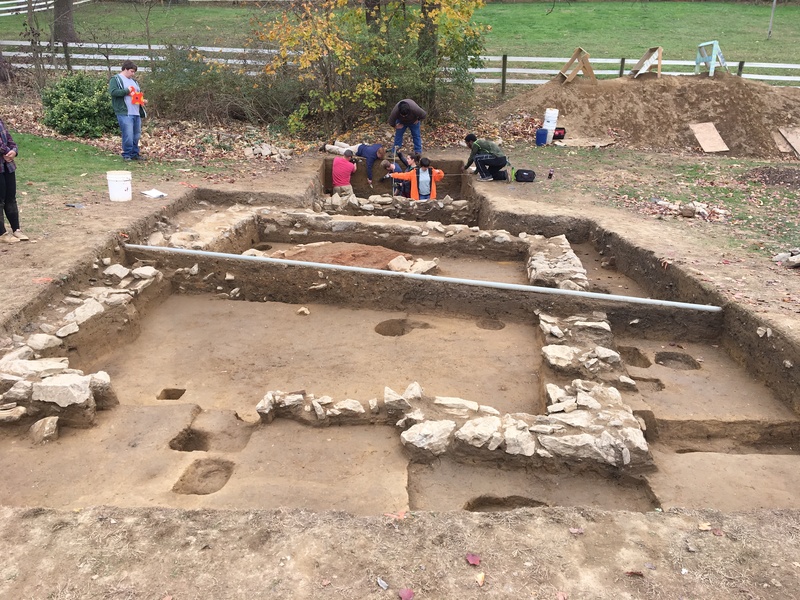 Since coming to Millersville, he has conducted excavations at more than a dozen historic sites in Pennsylvania and five archaeological sites on the island of Bermuda. His specialty is Historical Archaeology and Atlantic World History of the 17th and 18th centuries.